Although Abyss is most unnerving in its quieter moments, the album is Wolfe’s most well-paced and effective release to date. Chelsea Wolfe’s fifth full length, Abyss, is as fluid as it is murky, as graceful as it is punishing. Some songs extend the gothic grace of 2013’s excellent Pain Is Beauty, while others approach the listener with a heaviness akin to a demon sitting square on your chest as you sleep. Seeing as Abyss was inspired by Wolfe’s struggle with sleep paralysis, it is fitting that the album’s songs often unfold like a devious shadow stalking across a bedroom in the dead of night. Wolfe grapples with her sleep paralysis both through some of her doomiest compositions yet and some slow burners. Although Abyss is most unnerving in its quieter moments, the album is Wolfe’s most well-paced and effective release to date. Much of Abyss’ bombast is up front, with opener “Carrion Flowers” immediately enfolding the listener in swathes of industrial sound. The heaviness which introduces “Iron Moon” subsides briefly for a hushed verse before rising again in a distorted chorus. The bombast, then quiet, quiet, then bombast formula becomes more measured as the album progresses. Ezra Buchla’s viola playing on “Grey Days” does this in a way that is both elegant and sets the stage for the song’s doom elements to really ratchet up the suspense. This loud/quiet/loud dynamic has been used so many times in rock music, but Wolfe’s songwriting, instrumentation, and vocals are compelling enough to keep the atmosphere from becoming stale. That atmosphere solidifies itself in Abyss’ second half, its progression from “Crazy Love” to the closing title track a journey in and of itself. “Crazy Love” hearkens back to Wolfe’s more folk-centric songs, a side of the artist that had previously been on strong display in 2012’s Unknown Rooms. The gothy orchestration “Crazy Love” is given allows it to fit right in on Abyss. “Simple Death” is a sparse meditation that’s filled out by Wolfe’s sorrowful delivery. It is perhaps the Abyss track which feels most closely related to Pain Is Beauty. Abyss’ best exercise in suspense-building is quite possibly “Survive”. What begins as a spooky folk offering in the same vein as “Simple Death” takes off a little after the three and a half minute mark, first with some ping-ponging drums, then with a full-blown, cymbal-crashing assault and almost unbearably intense sonic ghostliness. “Color of Blood” rides in on a wash of fuzz and raises the unease with another pulsating performance from drummer Dylan Fujioka. Closer “Abyss” does the most with the least, employing a spine-tingling piano line and Wolfe’s muted murmurings of “Watch your thoughts in the dark / they’ll drag you down to the deep blue sea” to unnerve the listener. The song changes direction with a fitful viola solo, the sleep paralysis breaking for a bout of restlessness. Despite its sometimes oppressive nature, Abyss still showcases some of Wolfe’s brightest attributes, such as the quiet strength of her more acoustic numbers and her full-bodied vocals. The dark beauty Wolfe imbues even her harshest material with makes one wish she would have made an appearance with such guest vocalists as St. Vincent, Little Annie and Al Spx on Swans’ 2014 release, To Be Kind, an album which Abyss producer John Congleton also worked on. 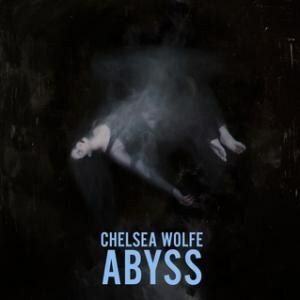 Abyss may not be a go-to for either late-night or summer listening, but it ably solidifies Wolfe’s presence as a devastatingly unique voice in our current musical climate.